Holland & Smith were drawn in a tough Group A but came through after win both their games. They were first up against Georgina Moore & Josh Ffrench who they beat 11-7, while Harry Minor & Eddie Brew also beat Moore & French 14-6 to mean the winners of the final game would progress to the semi-final but they were no match for the eventual champions who came away 12-8 victors. Seams Whelan & Collin Holland made it through Group B thanks to wins over Pat Mason & Richard Faragher (14-1) and Archie Collister & Wyn Collister (9-6). Archie & Collister joined them in the semi-finals on shot difference after drawing their game 8-8 against Pat Mason & Richard Faragher. In Group C Michael Collister & Stephen Gale qualified for the semi-finals after winning both their games. 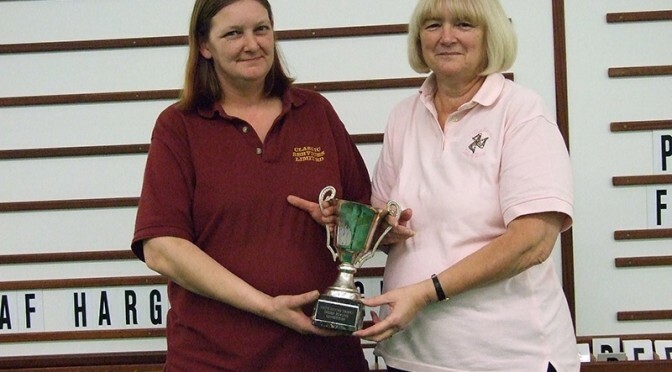 The first against Bernard Kaighin & Matt Quayle finished 19-2 while they were pushed all the way by Ann Hollingworth & Sylvia Maddrell but eventual clinched a 8-6 victory. In the semi-finals there was a repeat of the Group B game between Whelan & Holland against Archie & Wyn Collister and the result went the same way with Whelan & Holland running out 11-5 winners. The other semi-final between Holland & Smith and Collister & Gale went to the wire. Holland & Smith took an early 5 shot lead but Collister & Gale came back to lead 8-6. A single on the penultimate end saw Holland & Smith reduce the margin to a single point and a great bowl by Smith had them lying game. Gale missed the shot by a whisker which left Holland & Smith 9-8 winners. The final saw Whelan & Holland get the better start thanks to scoring a 4 on the opening end but Holland & Smith soon found their form and came back to lead 11-5 with 2 ends to go. They shared the next two ends to run out 12-6 winners to finish a fantastic days bowling. Next week sees a return to the Cherry Orchard League with the top two of Erin Elite & Douglas Bay Pirates going head to head. Ronaldsway Blockbusters face Laxey Minors, Colby meet Ballaugh B and Douglas Destroyers play Ballaugh.